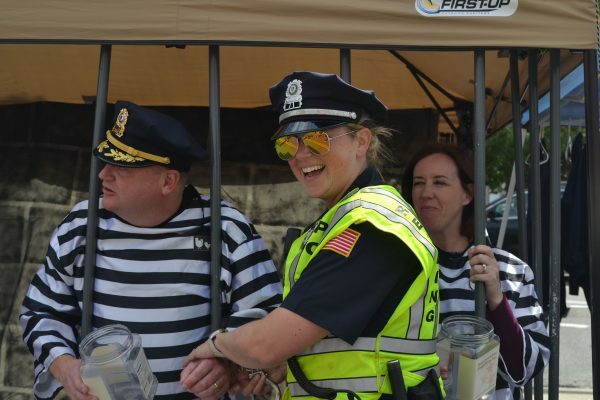 For ten months out of twelve I have a love-love relationship with our Jail & Bail fundraiser. 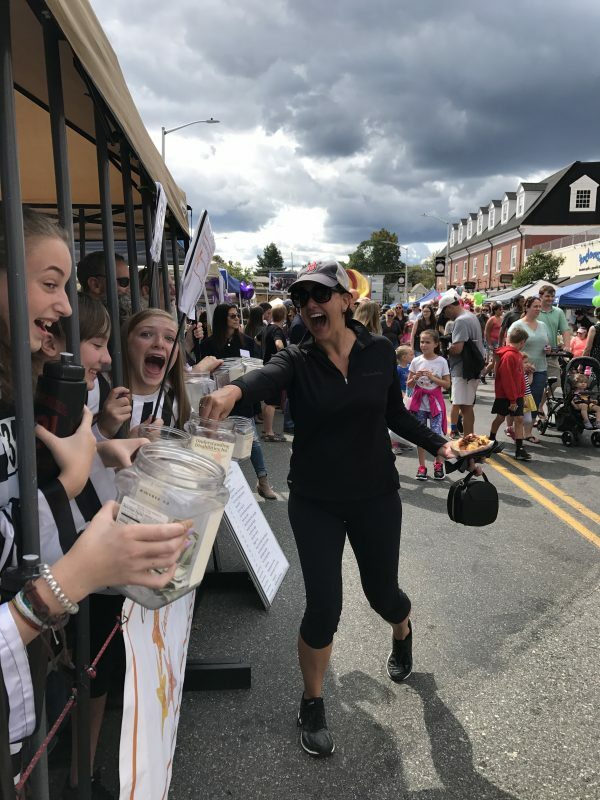 The Jail & Bail takes place on just one day of the year, at the Reading Fall Street Faire, and the warmth this community expresses on that one day inspires me and the other members of the fundraising committee all year long. The Jail & Bail represents our community at its best. More than a hundred residents and local business or civic groups turn out. These are people from all walks of life and with seemingly no connection with disability education – singers, martial artists, librarians, police officers, fire fighters, lawyers, financiers, authors, civic leaders, scout leaders, coaches, politicians, musicians, actors, photographers, business owners, families, friends, neighbors. There are teachers too, from each of the town’s schools, that come on a Sunday no less because they know firsthand the kindness and compassion that UD adds to their school’s culture. The superintendent and principals head willingly behind our pretend bars in order to truly stand for the abilities of all. They come, not to purposely model the compassionate behavior that UD is teaching our children, but to act on their values. They come to show respect for another group of people for whom awareness and respect has been long overdue. We have a great time being silly and snapping photos – black and white stripes, by the way, are very eye-catching – and the joy the ‘inmates’ bring to their mission is remarkable. The truth behind the Jail & Bail though is serious and present. These wonderful and smiling people know that it is time to show up for the many people within our community and society, whether they have disabilities or other differences, who can do so much more than the limiting perspective our society gives them credit for. Some say the first step into our mock jail, donning a silly costume, is hard. If so, I have witnessed that the second step in is easy. The cause must take over because these otherwise ordinary citizens pick up their collection boxes, step boldly to the front of the bars, and call to their neighbors to please contribute. Contribute so that every person’s abilities can be recognized. The costume is pretend, the community coming together in action is sincere. 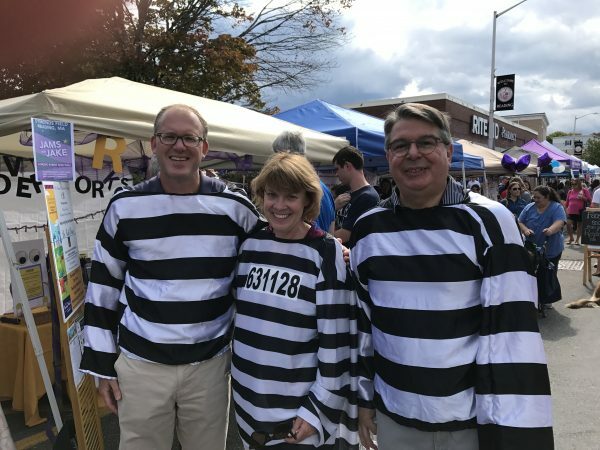 The funds raised are critical, and the awareness in their voices as each volunteer exits the jail, “Please call me again next year,” is music to my ears. You may be wondering what happened to the love during the other two months of the year. It’s my writer’s privilege to rule that those months don’t count (! ), as they are spent connecting over the summer with people who would rather be, and deserve to be, day tripping to the beach. There’s no need for you to wait until July and August to register for Jail & Bail 2018 though. If you, your organization, your business, your team, your neighborhood, your sewing circle, or any other group would like to support disability awareness then please email me now. Bring your good humor and have a great time – all for a wonderful cause. 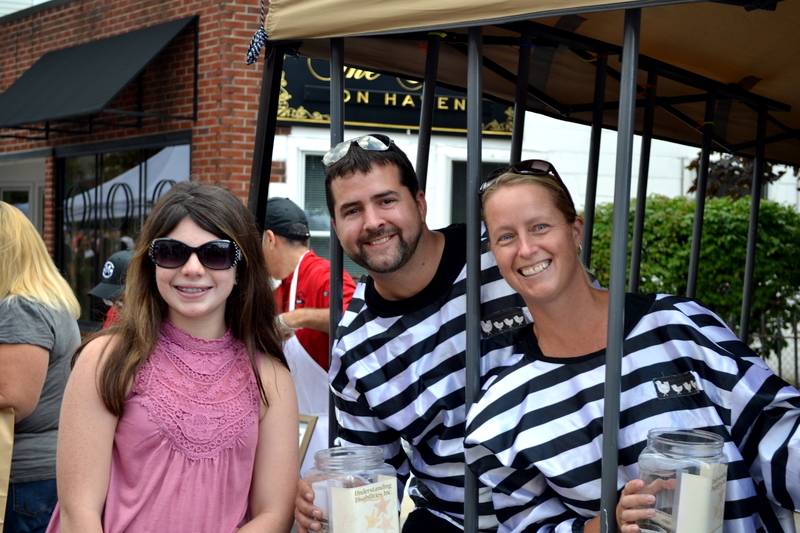 Click here to see more photos of our inspiring Jail & Bail.